Bringing the best of B-to-B marketing excellence to the Carolinas. 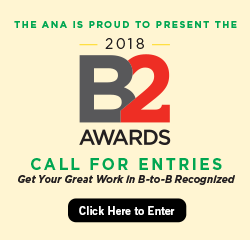 ANA Business Marketing is an international organization of more than 3,000 business marketing and communications specialists, sharing a common bond of profession and a passion for customer value creation. With the integration of the BMA with the ANA, current Carolinas Chapter members will benefit from the established infrastructure, resources, and intellectual capital that the ANA can provide. We provide opportunities for personal and professional development in the Charlotte and Carolinas region. Meetings and workshops facilitate networking with key marketing contacts and sharing of best practices from thought leaders from the marketing community. To learn more about how to join the Carolinas chapter, contact us.